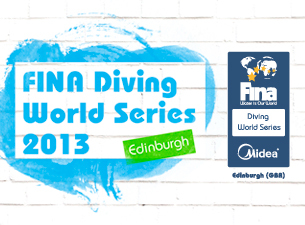 The British leg of the 2013 FINA/Midea Diving World Series will take place at the Royal Commonwealth Pool in Edinburgh between the 19th and 21st April. The Federation International De Nation (FINA)/ Midea World Series is an annual event where the world’s diving elite go head-to-head six times in the space of three months. This is the 7th annual running of the event and takes place in over six legs. The first and second legs took place in Beijing and Dubai last month. This month will see the third and fourth legs taking place in Edinburgh on the 19-21st April and in Moscow from the 26th to the 28th April. The fifth leg takes place in May in Guadalajara (17-19th April) and the event comes to a climax in Mexico City on the 24 – 26th May. The programme at the World Series follows a similar programme to that of the Olympic Games, and will feature the 3m Springboard, 10m Platform, 3m Synchro and 10m Synchro for both men and women. Who’s taking part for Britain? Olympic bronze medallist Tom Daley will be leading the British and will be competing in the 10m Platform. European champions Tonia Couch and Sarah Barrow will be competing in the 10m Synchro , Tonia will also be taking part in 10m platform, where she won the British title in February this year. Chris Mears and Hannah Starling also in the team and will be competing in the individual 3m Springboard. Hannah will also be pairing up with Alice Blagg and Chris Mears with Nick Robinson-Barker for the women’s and men’s 3m Synchro. The other countries taking part are Australia, Canada, USA, Mexico, Russia, Cuba, Germany, Italy, Malaysia, China and Ukraine. To find out more information on each team click here. For further information on how to book tickets or how to get there then please click here. 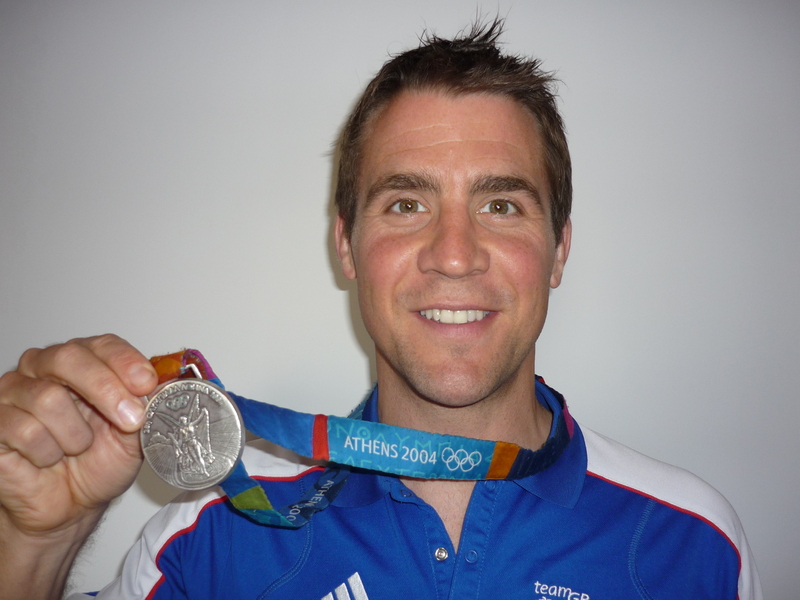 British Swimming has recently appointed Chris Furber to lead its Paralympic Swimming Programme. So what exactly will Chris be doing? Chris has the exciting and challenging task of exploring a number of different strategies aimed at delivering more gold medals in Rio. Some of you may recognise Chris to be the current lead coach of British Cycling’s Paralympic Team, so it may seem a little odd that Chris will be making this transition into swimming however, Furber has a great track record, getting GB cyclists to first place in both the Beijing and London Paralympic Games. With his background in cycling who knows what interesting ideas Chris may bring into the pool? RAPs wishes him the best of luck in his new role, which he will be starting on May 13th. For those interested in seeing how the squad might develop under Chris’s leadership, the next event for the team is the British International Disability Swimming Championships in Sheffield, which will act as the trials event for the IPC World Championships, which take place in Canada from 11-17 August. Paralympic Gold Medallist Ellie Simmonds was a recent guest on the One Show. She spoke about a new and exciting challenge: to get Britons out of their armchairs and into the swimming pool. A new survey commissioned by the British Gas SwimBritain campaign reveals that 23% of Brits spend “115 days a year sitting down at work”. However, “nearly 79% of those surveyed said they would like to live a more active life”. “I’m shocked that so many people spend so much time sitting down, though most of them do say they’d like to be more active. So I’m trying to encourage people to join the British Gas SwimBritain campaign and set themselves the challenge of swimming regularly” (Ellie stated). The aim is to create a healthier nation and get half a million more people swimming regularly by 2015. What is the challenge about? It is about you and your friends and family being involved with nationwide team relays. The events will happen throughout September, and their aim is to improve Britain’s health and fitness and create a “great value training programme to support you on your swimming journey”. You will receive a package that includes: quality in pool coaching, online training material, a place at a national event and 4,000m team challenge. The locations and celebrities involved will be announced in May. You can register on the SwimBritain website to receive latest announcements and be ready to be the first to get involved. The Register of Aquatic Professionals hope you will tell your friends and family and get your team ready to SwimBritain. 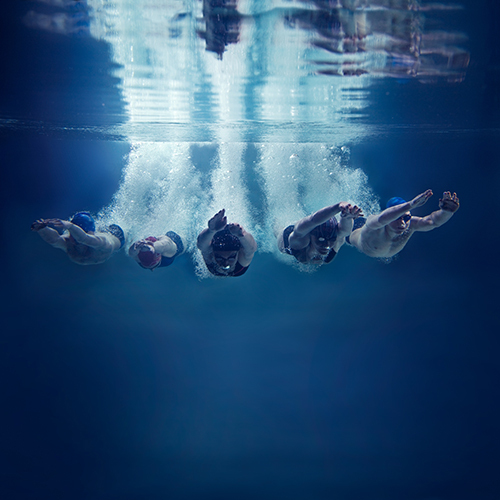 To visit the SwimBritain website follow this link. To read more about British Gas Survey Article follow this link. To watch Ellie Simmonds on the One show episode follow this link. We all know a well balanced diet is vital for our health, but it’s also important for making the most out of your time in the pool (and for improving our figures!). As a swimming instructor, I’m sure your competing swimmers have asked you what it is they should be eating to enhance their performance? Or perhaps you feel that you would like to give them some general nutritional advice, as there are a lot of tips out there, many of course are fantastic but some are just plain confusing. As a general rule no matter what ability, experts at the Amateur Swimming Association (ASA) advise that if planning to go swimming or training later in the day its best to try to eat an exercise-friendly meal two and three hours before you go. This means keeping your carbohydrate and protein levels high on roughly a 60:40 ratio. For more information from the ASA click here . Competitive Swimming is a highly explosive sport which requires large amounts of energy; to fuel this intense activity your body requires a good balance of both energy and nutrients. Kathleen Woolf, who is a member of the American Dietetic Association, gives some great nutritional advice for swimmers, which she divides up into 3 key areas of focus. During a competitive event your muscles use carbs as fuel; yet your body can only store a limited amount in your muscles. In order to keep your body well stocked with carbs (in the form of glycogen, is made and stored primarily in the cells of the liver and muscles, and functions as the secondary long-term energy storage), which can easily deplete after any competition, it is really important to ensure that pre-competition meals are rich in good quality complex carbohydrates. 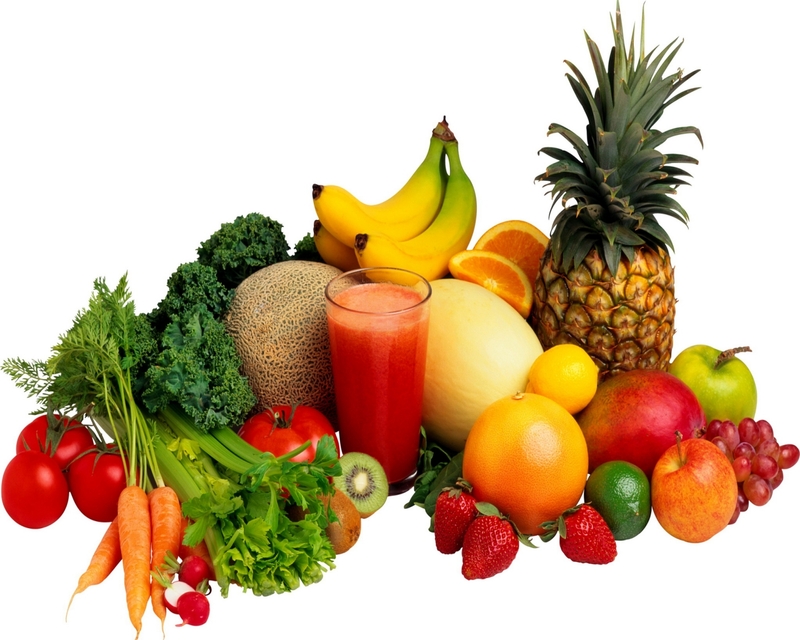 Perhaps recommend your swimmers to include a range of fruits, vegetables, whole grains and breads and cereals into their daily diet. Some of the best complex carbohydrates include wholegrain pasta and brown rice, which should make up 60% of total calorie intake. Even though things like biscuits, sugar-sweetened beverages and cake provide your body with carbs, these are nutrient- poor so don’t be tempted (although every now and then isn’t too bad as we all love a bit of cake!). Your muscles will need a good amount of protein for the tissue to be able to repair. The daily recommended amount depends on your weight, which according to experts it is approximately 2 grams per pound of weight for a sports person. So be sure to recommend good sources of protein such as lean meats (grill whenever possible), fish, seafood, eggs, low fat dairy and beans. Super-foods such as Brazil nuts and quinoa are also a great source of protein. 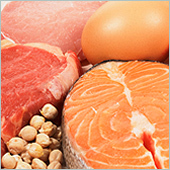 For optimal muscle repair you should try to include a form of protein throughout your day, if not in every meal. Since competitive swimming is such a high energy sport having three meals a day plus snacks, will give your swimmers that vital fuel needed for training as well as competitions. Breakfast is said to be the most important meal of the day, and is essential for those early morning swimming sessions. Don’t recommend your swimmers to train on an empty stomach, otherwise they’ll be running on empty and their performance will be impaired. Do try and encourage them to eat at least an hour before training if possible though to avoid potential bowel irritation which can sometimes occur if you eat too close to beginning exercise. If you’re swimmers are wondering about snacks, things like low-fat yogurt, fruits and peanut butter sandwiches are just some examples of great healthy fuel-foods. Remember try to recommend your clients refuel within 30 minutes of finishing any competition or training as the body immediately needs nutrients to repair muscles and replace energy. Good hydration has huge impacts on physical and mental skills during swim practice. Sports drinks are recommended during an intense practice while water is great during a recovery or an easier session. In regards to caffeinated drinks such as coke, it’s best to recommend that these should be avoided as caffeine is a diuretic and it is important to watch the sugar intake. A recent study regarding Hydration and Health has been presented at the British Nutrition Foundation’s (BNF) conference. The study itself calls for sports coaches and instructors to ensure adequate provision of fluids and access to weighing scales at training and competition venues, to help cut down the number of athletes competing while dehydrated. The study¹, by Dr Karen Reid of University of Wales, Trinity St David, is the first large scale study in the UK to investigate hydration knowledge, attitudes and practices of sportspeople. The study showed that 46% of people rely on their instructors for hydration information but only 6.3% of those ‘often’ use simple and effective weighing measurements, before and after exercise, to estimate their fluid requirements. It is a well know fact within the sporting environment that dehydration can increase cardiovascular strain, thermal strain, glycogen utilisation (in turn depleting valuable stores in the body), muscle lactate production (contributing to muscle fatigue) and the perceived rate of exertion. The research that was presented at the conference showed that most people still train, as well as compete, dehydrated and that their knowledge about hydration and practices for monitoring hydration levels is limited. To help stay in top condition, the BNF has put together the following simply hydration measurement tips. You may find these tips useful when talking to your swimmers about the importance of keeping hydrated. • Then drink a further 125-250ml immediately before exercise. • It is recommended that swimmers should consume 150% of the amount of fluid lost during exercise to allow for the fluid that is naturally lost from the body via urine. For example, if you have lost 1L of fluid, you need to drink 1.5L. • The easiest way to calculate fluid loss is to weigh yourself before and after training. 1kg of weight loss resulting from exercise is roughly equivalent to 1L of fluid loss. • Weight loss in kilos then needs to be multiplied by 1.5 to calculate the amount of fluid to consume. This does not need to be consumed all at once, immediately after exercise. Tell your swimmers to aim for 500ml immediately after training, and then consume the remainder at intervals afterwards. To see the full article and for further advice on hydration please click here. For further information on the topic of nutrition why not look at the ASA website. Or see what other tips Kathleen Woolf gives by clicking here. Kathleen Woolf, PhD, RD is a registered dietitian and a member of the American Dietetic Association, the Sports, Cardiovascular and Wellness Nutrition Dietetic Practice Group, and the American College of Sports Medicine. Thanks to London 2012 and the recent ITV show SPLASH!, interest in the sport of diving has never been greater! Q: How have the last few years been for you? A: Exciting! Scary. Busy. It really has been a whirlwind! I’ve been doing all sorts, everything from dangerous sports such as snowboarding (I wasn’t able to do it before retirement due to fear of injury), to public speaking and developing my own business. I’ve really thrown myself into ‘life after sport’ and am enjoying the adventure. Q: Did the London 2012 Olympics and Paralympics live up to your expectations? A: Definitely, they exceeded them. I was involved as a bid ambassador from the beginning, back when I was still competing, so I really was totally immersed. If I’m honest the feeling was of trepidation as the event drew nearer, were we going to be able to live up to the hype? However, as I sat in the opening ceremony, surrounded by all former medallists, including my hero Daley Thompson, I knew it was going to be amazing. I was extremely busy during the period; commentating for the BBC, acting as a mentor, fulfilling corporate commitments, but the sense of pride was immense. To top it all off the popularity of the Paralympics was infectious, which was great to see! Q: The question we’re all dying to ask, how did you find being a judge on SPLASH? A: Well, it really came out of left field actually. I had planned, and booked, a once in a lifetime trip to New Zealand with my girlfriend but we eventually decided to cancel this so that I could be involved in the programme. It all started when I was approached by the production company planning for SPLASH!. They asked me to do some consultation work brainstorming ideas for the show. Next thing I know I’m I sitting next to Jo Brand! Albeit feeling fairly sick, having suffered a burst appendix after show one, but no one noticed right? The power of makeup and TV! Q: You retired at the age of 30, did you struggle with the transition to a career outside of elite sport? What advice would you give to up and coming athletes about developing their skills and looking ahead to the future? A: Be prepared. Sport is finite; you can step off the curb, damage your ankle, and as simple as that it can be over. If you have plans in place for the future then you can action them as and when you need to, this applies to anyone, not just elite athletes. In 2001 I was forced to undergo reconstructive surgery on my shoulder; this was a wakeup call for me and so when it eventually came to retirement time I was fairly prepared, the transition was difficult but manageable. Before this injury though I had hardly thought about life after sport, things could have been very different. Q: Did you find the qualifications that you gained at school / during your sporting career and the skills that you developed as an elite athlete came in useful when you left the sport and started your own business? A: My formal education came to an end after A Levels. I started a degree but unfortunately due to my training schedule and the inflexibility of the University system at the time (this is something that has since been addressed) I was unable to finish it. However, I did complete a certain number of modules which have come in useful. My injury mid career and the character traits that led me to be a top athlete spurred me to go out and gain experience and I was able to shadow several BBC TV presenters. I also attended various training courses in public speaking. During the rehab of my 4th shoulder surgery I completed a HND in Business & Finance which has proved invaluable in relation to the running of my own business and when I’m speaking to a business audience. Q: Having been a part of the Aquatic industry for many years how do you feel about the launch of RAPs and the regulation of professionals within the industry? A: I think that it is a fantastic opportunity for the industry and the individuals within it. There is now a structure in place for the Aquatic industry workforce to mark themselves against to ensure that they are in line with the National Occupational Standards. It is great that there is professional development support included as this will help everyone within the industry to ensure that they are continually developing, and that they are always striving to be best they can be at what they do. Q: You’ve written a book ‘MENTOR – The Most Important Role You Were Never Trained for’. Why do you feel that mentoring is so important in sport and business? A: Mentoring is a bit of a forgotten art; years ago this was how everyone used to learn. Nowadays the approach is often much more instruction based. Whether you are the mentee or the mentor, learning takes place. Mentoring is about understanding what the mentee is going through and sharing your experience with them in a way that can guide them to new leanings not telling them what to do. One of my roles during London 2012 was as mentor to Sophie Christiansen who went on to win three Paralympic gold medals; it was such a great feeling to see her shine and knowing I had been part of her journey. I didn’t know a lot about Cerebral Palsy or horse riding when we started out but this didn’t matter. It was the skill set that is important, not the context; the same principles apply to the world of business. Q: What’s next for Leon Taylor? Will you ever retire from involvement in the Aquatic industry and the sport of diving? A: One of my current challenges (I always like to stay busy!) is triathlons, a lot of hard work, but very rewarding! In terms of work based challenges I will be continuing to grow and develop my business, working alongside great company’s who deliver high performance coaching to businesses. Yoga is also a big thing for me; I studied to become a yoga teacher a few years back and I’m continuing to explore new opportunities within this industry. From before I can remember I was involved in sport and aquatics so I will never stray too far away, however, I feel that it is important to step back a little from time to time so that I can bring perspective to the situation. In addition, I always make sure I keep my eyes open to new experiences. This is how the chance to be involved in SPLASH! came along in the first place, and unexpectedly it turned out to be a huge hit. As you may have heard, ITV have recently signed off a second season, exciting times! This year the British Gas Water Polo Championships will be held at the Manchester Aquatics Centre over the weekend of the 23rd and 24th February. Cheltenham, Bristol Central, City of Manchester and Lancaster will be contesting the men’s finals tournament. Meanwhile the women’s finals will see clashes between City of Manchester, Otter, Liverpool Lizards and Coventry. The rules of water polo were originally developed in the late nineteenth century in Great Britain by William Wilson. William Wilson was an aquatics aficionado who also found the time to publish “The Swimming Instructor,” in 1883, one of the first books on swimming, it defined modern concepts of stroke efficiency, training, racing turns and water safety. There are two types of passing in water polo: the dry pass and the wet pass. In a dry pass the ball does not touch the water and allows for optimal speed when passing from player to player. The wet pass is a deliberate pass into the water, usually done when making a pass to the hole set or centre forward. If the team has strong centre forward this can be a very effective, offensive move. The London 2012 Water Polo Arena was the first dedicated Water Polo venue to be built for an Olympic Games. The venue itself was also very sustainable, intended as a temporary structure, many parts used in the build were hired so that they could be returned and reused after the games. There is a variation of water polo called inner tube polo in which the players float in inner tubes (giant rubber rings). This results in less physical contact and as players do not have to tread water, they expend less energy. This allows casual players to get involved in the sport as they do not have to go through the strenuous training required for conventional water polo. And there you have it. Hopefully you know a little bit more about water polo than before, and if you’re in Manchester why not try and catch the British Gas Water Polo Championships next weekend! At 23, Rebecca Adlington, Olympic gold and bronze medallist is to retire from swimming, bringing an end to a glittering career. Adlington, the golden girl of British swimming won two gold medals in the 400 and 800m freestyle at the 2008 Olympic Games in Bejing and two bronze medals in the same events four years later at London 2012. Adlington, born in Mansfield, Nottinghamshire started swimming with Sherwood Colliery Swimming Club, and was selected for the Nottinghamshire County Swim Squad. Adlington is a hugely talented athlete, however it is important to remember the importance of the people who stood behind her success. It is not just the swimmers which have to deliver in the pool, but the infrastructure and staff behind them also need to be at the top of their game. Adlington’s success was a testament to the hard work of countless swimming teachers, life guards and pool managers. The Register of Aquatic Professionals has been developed with those involved directly in the aquatic industry. The Amateur Swimming Association (ASA), Royal Life Saving Society (RLSS) and Swimming Teacher Association (STA) have all worked in partnership with SkillsActive to develop RAPs. The Register aims to drive the professionalism of the aquatic sector, providing support to employers, individuals and the general public. By getting the basics right we can ensure that Britain continues to produce swimmers that are the same calibre as Rebecca Adlington. Adlington will now focus her attention on her “Rebecca Adlington Swim Stars” programme which will encourage young people to take up swimming. We, at the Register of Aquatic Professionals wish her all the best! 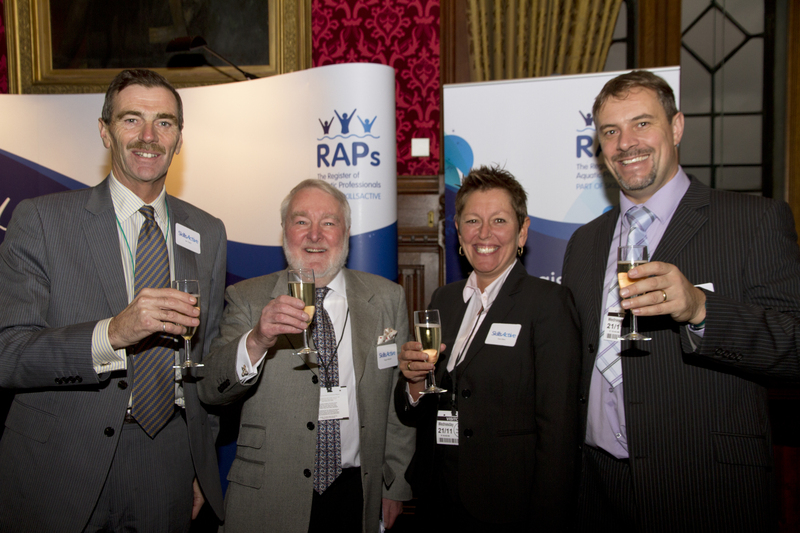 On November 21st 2012, SkillsActive hosted an exclusive event at the House of Commons to welcome the creation of the new Register of Aquatic Professionals (RAPs). The special announcement was a roaring success, hosted by Sky News’ Natalie Sawyer, sponsored by James Clappison MP and attended by some of the most notable faces from the swimming industry. 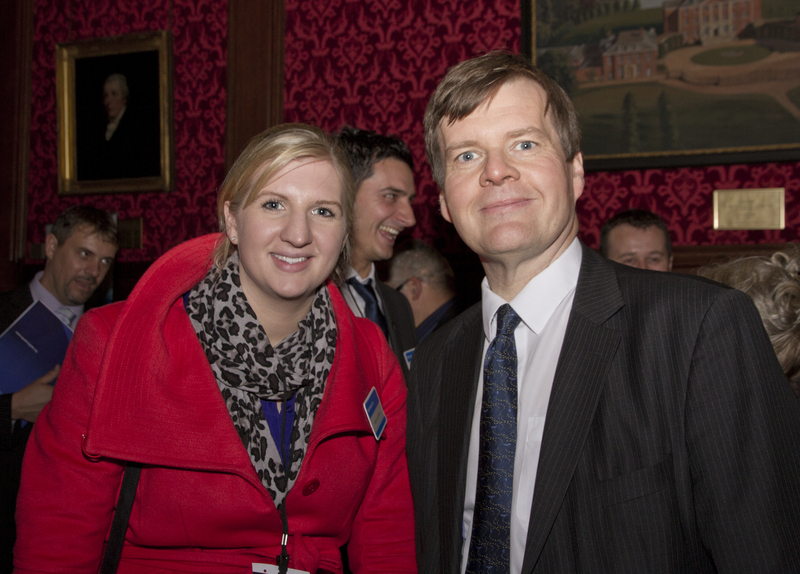 We were honoured to have had Olympians Rebecca Adlington, Steve Parry and Duncan Goodhew in attendance. RAPs has been developed by SkillsActive and key industry partners; the Swimming Teachers’ Association (STA), Amateur Swimming Association (ASA) and Royal Life Saving Society (RLSS). What did we talk about at the House of Commons? • A public search function enhancing public and employer confidence in the quality of wet-side professionals. For all involved this was a pivotal moment within the aquatic industry with three major awarding bodies working together for the first time! The Register of Aquatic Professionals (RAPs) has officially entered the pilot stage! Before the Register can be rolled out to everyone in the aquatic industry, it needs to be tested. The Register is being piloted in England initially, with plans to roll out across the UK so that everyone in the aquatic industry can be involved in this new and exciting development. The pilot will run for approximately four months, during which time 1,000 individuals will be invited to take part. The pilot is free for those who are taking part; this is thanks to a subsidy provided by the UK Commission for Employment and Skills (UKCES). At the end of the pilot there will be an evaluation of the system, where we will ask individuals and employers for feedback. This will allow SkillsActive partners to make final updates ready for full launch. RAPs will formally launch just in time for the summer when everyone, young and old will be diving into the pool to hopefully cool off. There are still a few places left! So if you would like to be involved at this exciting early stage, please feel free to visit our website and register to become a member at: www.aquaticregsiter.org. If you don’t manage to make it on to the pilot and you work in the aquatic industry, you will be warmly invited to join and show both the public and employers alike that you hold relevant qualifications when the Register is fully launched. The Register has been developed with those involved directly in the aquatic industry. The Amateur Swimming Association (ASA), Royal Life Saving Society (RLSS) and Swimming Teacher Association (STA) have all worked in partnership with SkillsActive to develop RAPs. Ultimately the Register is a mechanism to support employers, individuals and the general public. It will give the public assurance that registered individuals hold the relevant qualifications for the job they undertake.